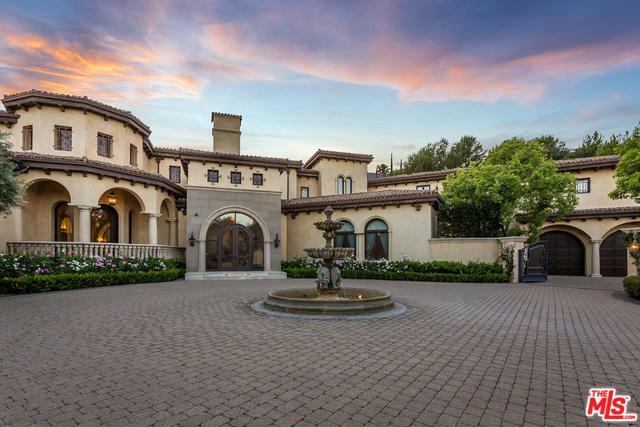 Superbly refined European Villa located behind the ultra-exclusive gates of Beverly Park North. Sited on over 1.8 lush acres, this opulent residence offers approximately 17,000 ft. of exquisite living space. Artisan quality finishes are highlighted by soaring 30-foot ceilings, hand-painted murals, and Italian stone floors. The palatial master bedroom affords dual spa-inspired baths and two boutique worthy walk-in closets. Six additional en-suite bedrooms complete the main house. The guest residence is nothing short of magnificent with a formal living area, kitchen, & large sleeping quarters. An elevator leads to a spacious game room and 12 seat theater, & world-class gym with dry sauna steam shower and spa area. The heart of the home is a lavish chef's kitchen with Onyx counters, large breakfast room, and jewel-like La Cornue Stove. Private park like grounds are highlighted by rolling lawns, pool, spa, & cabana. 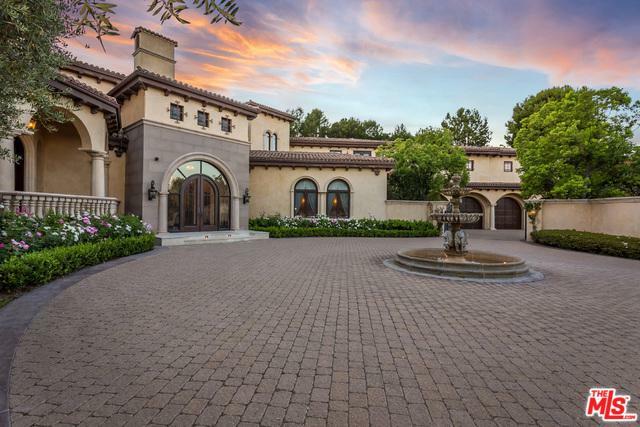 A true oasis in one of Beverly Hills most prestigious enclaves. Listing provided courtesy of Tomer Fridman of Compass.